At Microsoft’s E3 press conference on Monday morning, there was a video montage of many games that are coming to Xbox One through the ID@Xbox program. Over the next few days, XBLA Fans is bringing you a slightly longer glimpse of those titles than what the montage trailer allowed for. Our coverage of these titles will be in alphabetical order. Following is a look at the fifth set of those games. Spectra, by Gateway Interactive, is something akin to a cross between F-Zero and Audiosurf. The composer behind Super Hexagon, Chipzel, returns with a driving chiptune soundtrack that should make fans of speed feel right at home with this challenging procedural racer. The Golf Club, by HB Studios, is a nice looking golf game featuring an in-depth course creator. It’s nice to see a sports title with a sense of humor, as the trailer demonstrates, but beneath that charm lies a powerful golf creation tool — there are multiple tutorial videos already up and running on the game’s website. There Came an Echo, by Iridium, is a “voice-controlled squad based strategy game.” It might just be the game that makes a Kinect worth owning. Between the game’s all-star voice cast starring Wil Wheaton and Yuri Lowenthal (who voiced the Prince of Persia in the Sands of Time) and a score created by science fiction veteran Jimmy Hinson (Mass Effect 2), the game has a lot of good things going for it already. The puzzle game made famous on the iOS platform, at first it seems that Threes! might make for a poor choice on the Xbox One. However, as the trailer reveals, players will be able to play the game while they are snapped into some other task such as web browsing or watching a video. Don’t count it out because it lacks the flash of the other games on the list, either — it’s one of the more addicting games in recent memory. Older gamers might recall that the launch title for the Sega Genesis was not the game eventually associated with the console — Sonic the Hedgehog — but instead a port of a Sega arcade classic, Altered Beast. 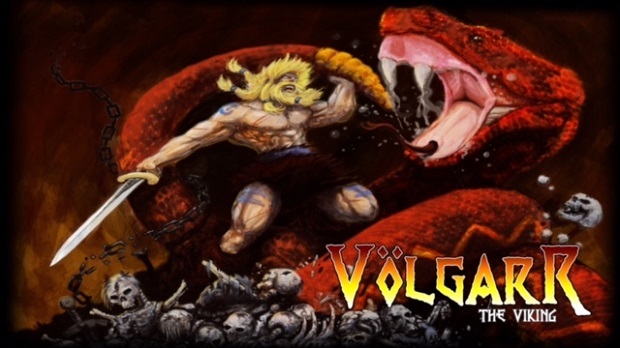 Taking us down memory lane is Volgarr the Viking by Crazy Viking Studios, which appears to show us what would have happened if the main character from Golden Axe was put into a platformer. If you loved the old days of the 16-bit arcade, you’ll likely enjoy this title. White Night, by Osome Studios, is a horror game inspired by Alone in the Dark and the works of Alfred Hitchcock. The game’s use of light combined with the black and white aesthetic recalls period film noir at least as much as it does horror film. Like a good horror movie, the music plays an important role, and the minimalist soundtrack continues to build suspense throughout the trailer effectively. Woolfe – The Red Hood Diaries, by GriN, is a steampunk take on the tale of Little Red Riding Hood, empowering the heroine to take action with the woodcutter’s axe herself. This will be one to watch, as GriN was responsible for the excellent Bionic Commando: Rearmed on XBLA. WulverBlade, by Darkwind Media, is a side-scrolling beat ’em up in the vein of Castle Crashers. Players looking to thrash from left to right on Xbox One will find their fill of combat here. Most importantly, the multiplayer that made Castle Crashers our #1 recommended game on XBLA returns in WulverBlade. #IDARB has been compared to Smash Bros. meeting sports before, but the closest thing to #IDARB is one of the few good exclusives OUYA had upon release, Towerfall. Featuring simplistic graphics with a bunch of crazy mechanics, this will likely become a go-to game for local co-op play. Jetpacks, team play, and frenetic action mark this title as a stand-out for ID@Xbox. 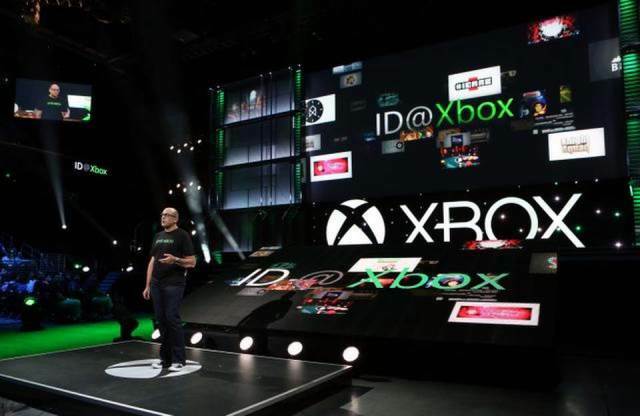 This is the end of the five part look at the ID@Xbox games featured at this year’s E3. Diversity is in abundance and there is certainly plenty of content coming to the digital download marketplace. The level of excitement and buzz here at XBLA Fans is high, the staff is incredibly pleased with the amount of attention to these games at E3. This is going to be an incredible summer and subsequent year, after a slow start for the Xbox One, the floodgates seem to be opening and the content is pouring through. Tell us what games from the list you are looking forward to, plan to skip, or want more information on. XBLA Fans plans to preview many of these titles for our readers, let us know what you want to see!